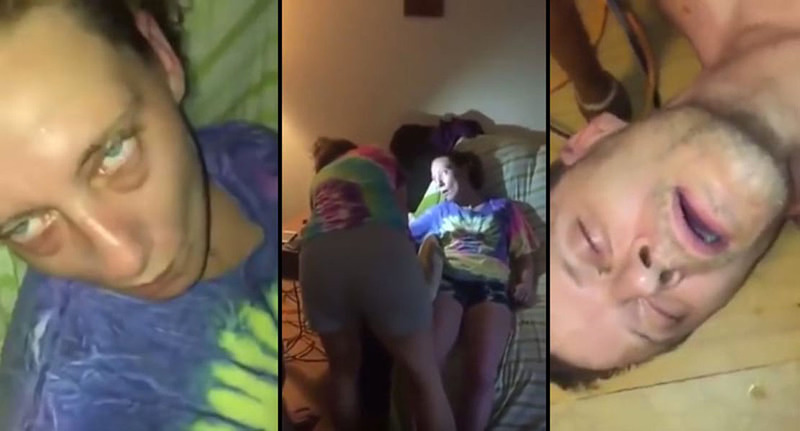 This is the disturbing moment a son and a daughter live streamed their parents overdosing on heroin. The unsettling footage, taken at an unknown location in America, shows the couple collapsed and unresponsive. While the father writhers around on the floor, the mum can be seen unconscious on the sofa with her eyes rolled back. Her daughter shines a light into her eyes and repeatedly shouts ‘ma, get up,’ to no response. At first, the father is seen sitting upright and appears to be responding to his children’s voices, but eventually he falls onto his back with his mouth and eyes half open. Unfortunately, the teens can be heard giggling throughout the video, suggesting this isn’t the first time they’ve seen their parents in this state. The footage, which was uploaded to Youtube on Friday, has already garnered over 32,000 views.